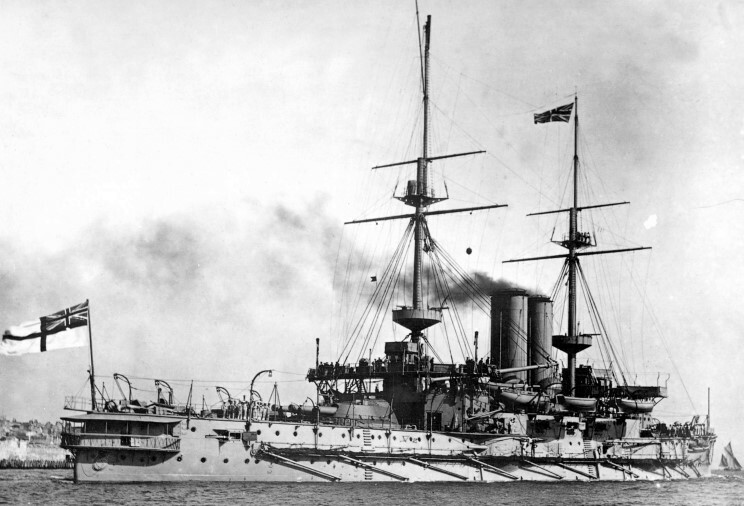 HMS Goliath seen in 1900. 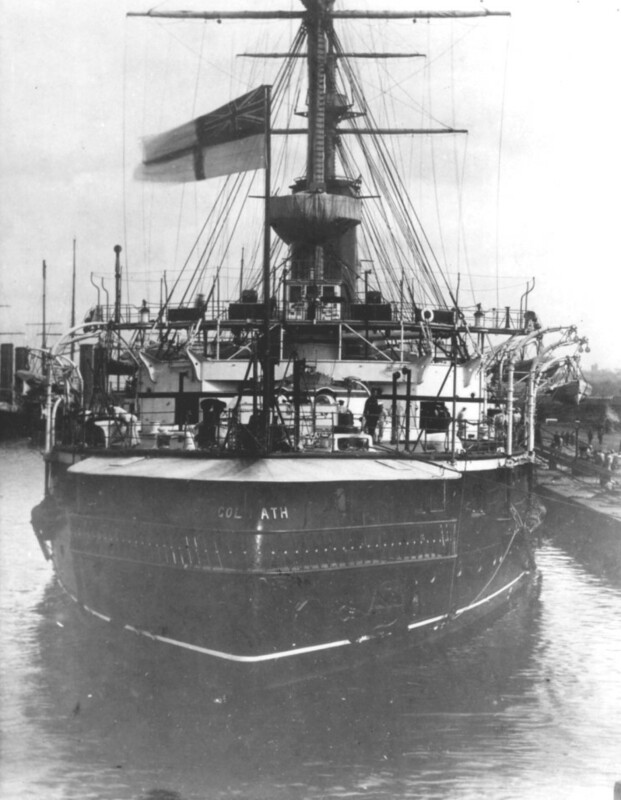 HMS Goliath, date and location not available. 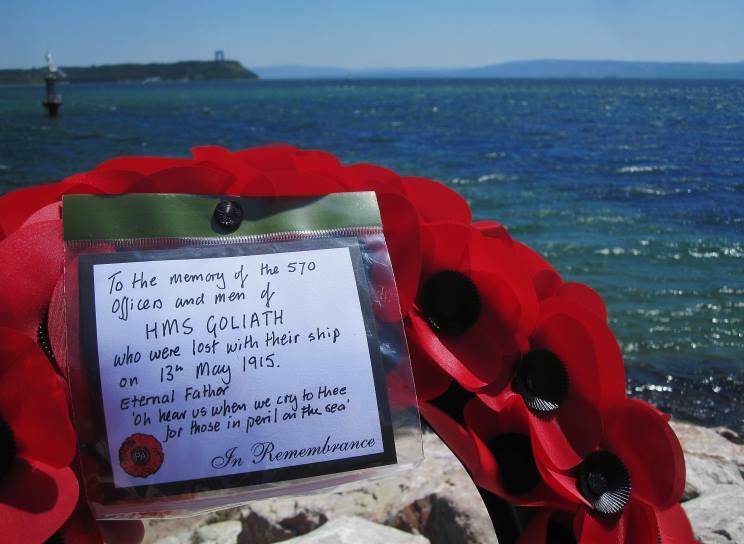 May 13, 2015: A tribute from Alwyn Jones and Alex Kaye of London to the men lost in HMS Goliath on the 100th anniversary of the sinking. HMS Goliath lies in the waters in the background.